iTunes is a great tool for you to organize your music library. Yet, when it comes to syncing iPhone song tracks to Mac, it's willing to but powerless to render help. And that's why an iTunes alternative makes sense. Which iTunes alternative can live up to your expectation for one-click music transfer? Please read on. 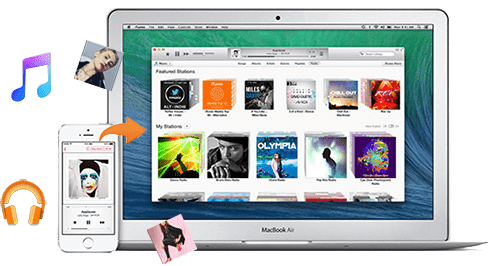 The following part will introduce the best iTunes alternative to export iPhone music to Mac and even copy iTunes protected M4P music, purchased Apple Music to MacBook, iMac, Mac Mini, etc. MacX MediaTrans - Smart solution to sync iPhone MP3, AAC, M4P to Mac. No.1 fast speed to sync iPhone music to Mac & create/edit/delete music. Unlock protection from iTunes purchased music and convert AAC/M4P to MP3. Auto convert FLAC, WMA, AIFF, etc. to MP3 when import music to iPhone. Sync music, ringtones, audiobooks, video, pics between iPhone and Mac. Music Transfer: bulk put iPhone song files to Mac & add music from Mac to iPhone iPad iPod (iOS 11) with DRM-free or DRM-ed music. Music Manage: create music playlist, make any music ringtone for iPhone, batch edit artist information, bulk delete music from iPhone 8/7/6s/6/Plus, etc. DRM Removal: remove FairPlay DRM from iTunes purchased music, movie, TV show and convert M4P to MP3, M4B to MP3, M4V to MP4, etc. Music Converter: auto convert FLAC, AC3, WMA, AIFF, ALAC, CAF, DTS, OGG, AU, RA, CD, etc. to AAC/MP3 when importing Mac songs to iPhone. Bonus Features: this application is also a top performer to backup photos, video, movie, ringtones, eBooks, iTunes purchases, podcast, iTunes U, etc. from iPhone iPad iPod to Mac/PC and vice versa. You can even free mount iPhone as flash drive to store Microsoft Word, Excel, PPT, Text, slideshow video, application, zip, etc. if your iPhone has extra space left. The guide below will show you how to move music files from iPhone to Mac with non-protected music. And prior to transferring iPhone music, you need to upgrade your iTunes to the latest version, for it needs iTunes to detect your iPhone file data at the first beginning. No worry! The latter process will be completed all on its own feet, without the involvement of iTunes. 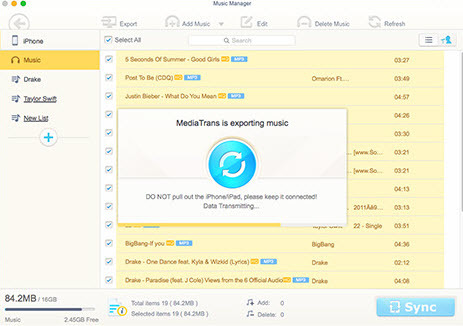 To put music and ringtones from iPhone to Mac, free download this top iPhone music transfer app and launch it on your Mac. Connect your iPhone to Mac via USB cable; it will automatically recognize your iPhone and the device info will be shown. Click "Music" button to get the music list. Then choose the music you would like to download to Mac and hit "Export" on your Mac to begin syncing iPhone music to Mac. Note: after the iPhone music to Mac sync is over, you can click "Back" button to return to the main interface to sync iPhone photos to Mac or video, ringtone, etc. if you have such needs. The following part is gonna to tell you how to export music from iPhone to Mac with iTunes protected music. Comparatively, it will be a little bit more complicated than DRM-free music transfer. Yet, as long as you move protected songs from iPhone to Mac, you can not only enjoy protected music on iTunes, but also play iTunes DRM music on Mac with VLC player, 5KPlayer, or on Android/HDTV as this iPhone music transfer software has already removed DRM from iTunes protected music during the process. Step 1: Pitch on the purchased music you wanna export to Mac. Step 3: Sign in to the iTunes Store on your Mac with your Apple ID; then tap "Next" button to continue. To decode and copy iPhone protected Apple Music to Mac, you're required to check if your iPhone songs are synced to iTunes. If yes, just skip this part; if not, you need to spend 1 minute to sync iPhone music to iTunes. Open iCloud Music Library on your iPhone. Sign in to the iTunes Store. Share iTunes Library XML with other library on Mac's iTunes. Download Apple Music on iTunes. Step 4: Tap OK after this iPhone DRM removal tool automatically remove iTunes protection from Apple Muisc. Step 5: Press "Export" button to transfer iPhone decrypted Apple Music to Mac. After the music sync is accomplised, you can view the properties of your iPhone Apple Music. They are all converted as DRM-free MP3 format. Thus you can transfer iPhone Apple Music to Zune, MP3 player, Android, game consoles for enjoyment. To save iPhone song files to Mac computer, how could you miss the cloud service? Hold on! Does this part introduce iCloud tutorial to backup iPhone photos to Mac? Of course not. Up to 2TB free storage space for you to upload music, audiobooks, video, photos, app, etc. Built-in file viewer to let you view files on iPhone, download, delete and share files. No add-ons or adware. Just register and sign in your Baidu account to enjoy these services. Step 1: Download and install this free cloud storage application on your iPhone. Step 2: Register an account or directly sign in with Baidu account if you have one. For the iPhone users, you can instantly get 2TB FREE storage space to save iPhone files once you add a bank card to your account (no need to pay). This will save you $9.99 every month compared with iCloud storage plans. Step 3: Click "Transfer List" to upload iPhone files. And it will automatically backup your photos under Wi-Fi circumstance. Optional: Click "Share" icon and you can directly share almost any file on your iPhone to your friends. Step 4: Sign into Baidu Cloud on the website on your Mac computer. Next, choose the music file and tap "Download" option to download iPhone music to Mac. Until now, the whole iPhone music to Mac transfer is finished. 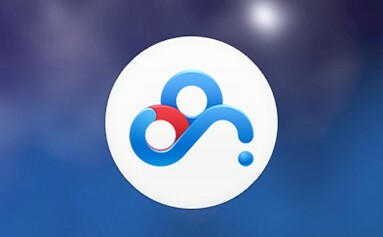 Currently, the Baidu Cloud 2TB is free to the public. But I guess it will charge soon or later once its users reach a large quantity. So if this iCloud alternative does make you excited, seize time and chance to give it a try now. Best iPhone Music manager - batch transfer music from iPhone to Mac with world's fastest speed (3 seconds for 20 songs export). Transfer music, photos, videos no wait!